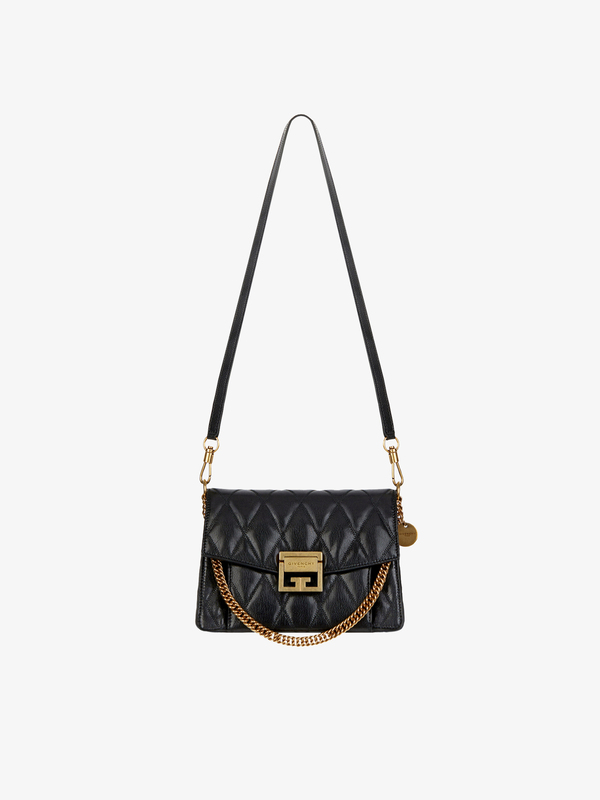 Small GV3 bag in black diamond-pattern quilted leather with removable shoulder strap to carry across the body or on the shoulder. Magnetic Double G clasp, GIVENCHY PARIS-engraved medallion on the side, and antique gold-finish metal chain on the front, allowing it to be carried in the crook of the elbow or by hand. Three accordion compartments and two flat pockets inside. One flat zippered pocket outside.